1. Remove the cylinder head cover (see page 6-73). 2. 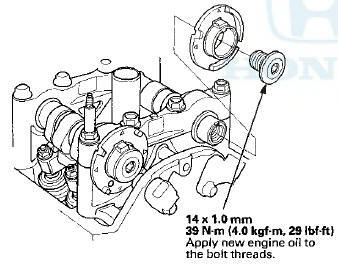 Remove camshaft position (CMP) sensor B (see page 11-198). 3. Hold the camshaft with an open-end wrench, then loosen the bolt. 4. Remove CMP pulse plate B. 5. Install CMP pulse plate B in the reverse order of removal.